I got the marketing e-mail from Vero Telecom about their booth at the HKTDC Hong Kong Electronics Fair in October. It promises new products. I wonder what we will see. 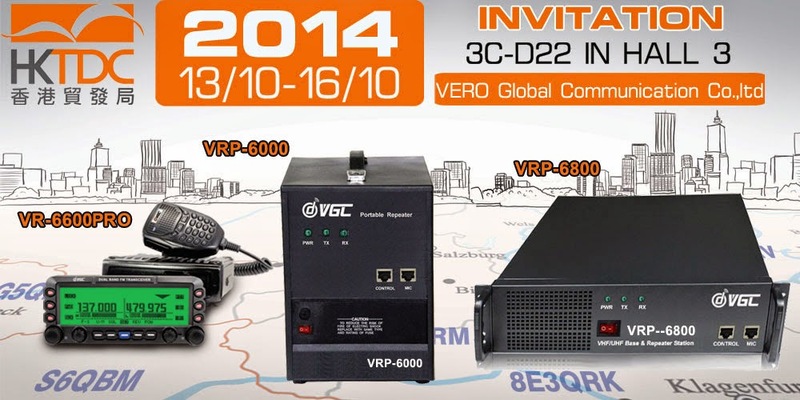 The image shows the VR-6600PRO (mobile), VRP-6000 (portable repeater), and VRP-6800 (base and repeater station). I'm wondering if the VR-6600PRO is the VR-6600P that we've been waiting on for a long time.